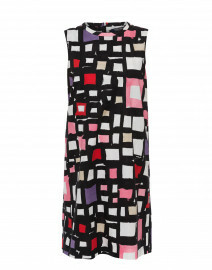 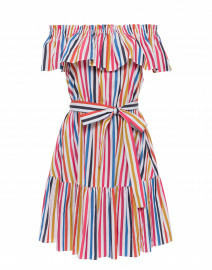 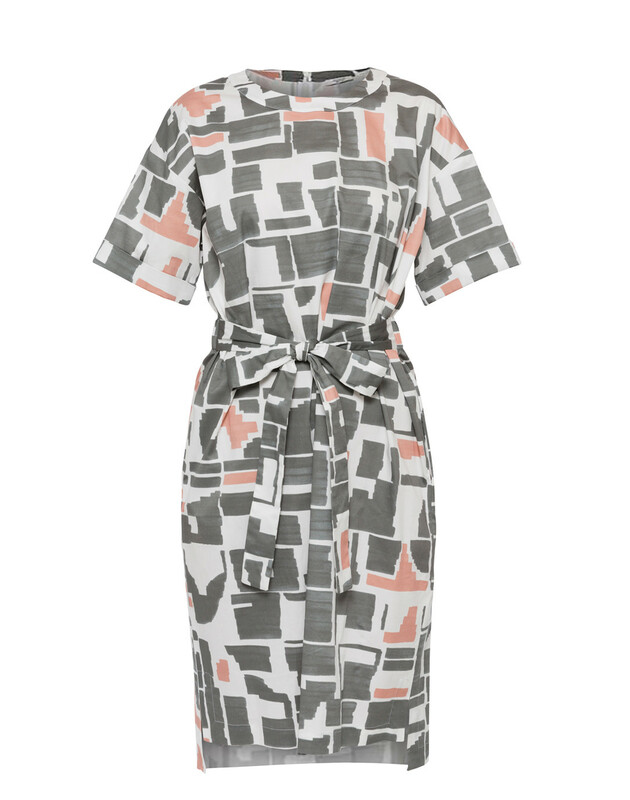 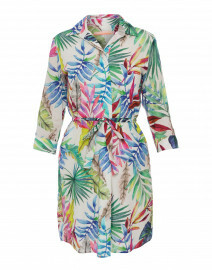 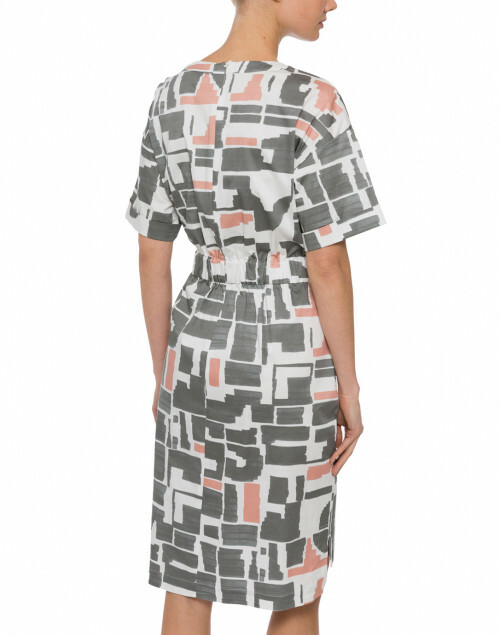 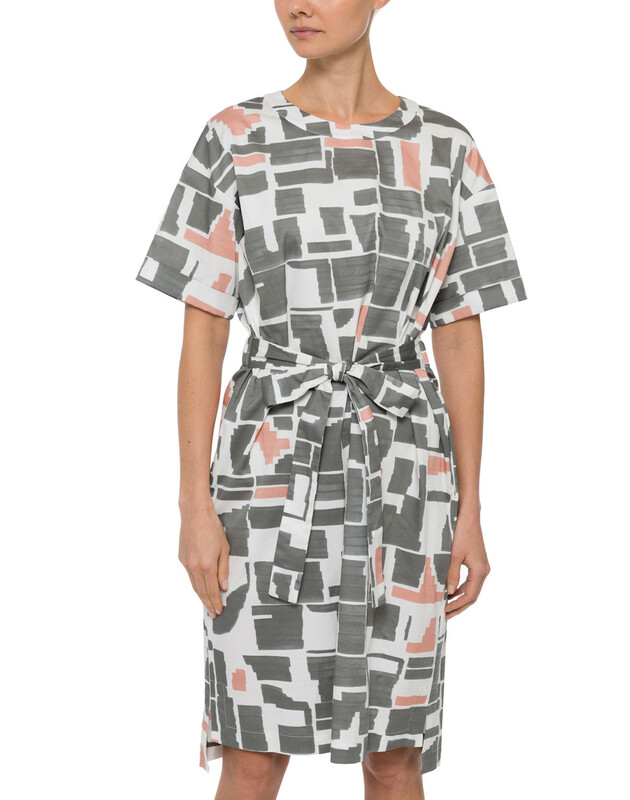 Peserico's printed poplin dress takes modern femininity to new heights. It's beautifully crafted in Italy from lightweight cotton fabric, and shaped with short sleeves, elasticized waist, and a self-tie sash. 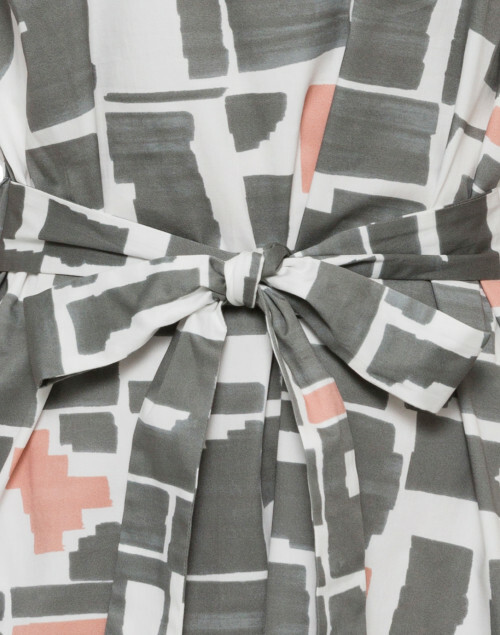 A bold geometric print adds a modern edge to the design. 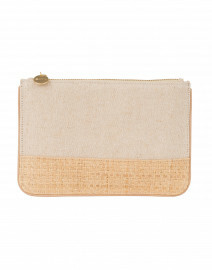 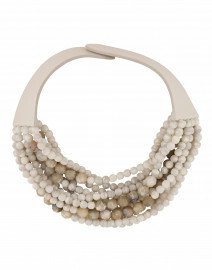 Pair it with neutral accessories for a relaxed, polished look. 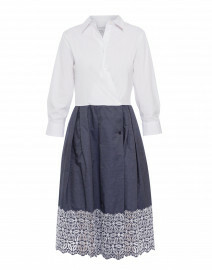 Length 39" 40" 40.5" 41" 41.5" 42"
Shoulder Width 15" 15.5" 16" 17" 17.5" 18"
Bust 37" 38" 38" 38" 40" 42"
Waist 32" 34" 35" 37" 38" 39"
Hip 40" 42" 44" 46" 47" 48"
Sleeve Length 8" 8.5" 8.5" 9" 9.5" 9.5"
Slit Length 5" 5" 5" 5" 5" 5"